Take your DDF shirt on the road and across the world with you and you could be featured in the Debbie’s Dream Foundation Newsletter! 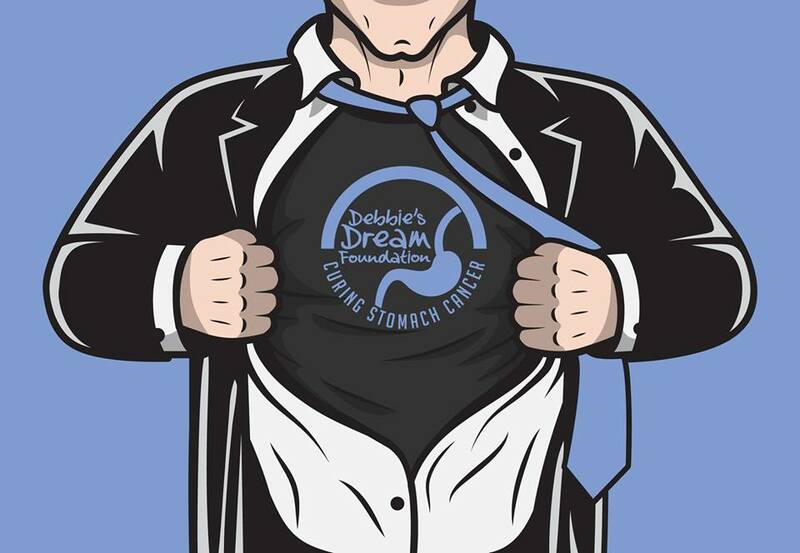 All you have to do is take a picture with your DDF shirt and send it to us via mail, email, or social media along with your location and blurb about where you are raising awareness in your Debbie’s Dream Shirt. To purchase a DDF shirt and any other DDF merchandise,CLICK HERE. By mailing in photos, emailing photos, posting to Debbie’s Dream Foundation’s wall or timeline via social media, or tagging Debbie’s Dream Foundation: Curing Stomach Cancer in any social media photo, you hereby grant Debbie’s Dream Foundation: Curing Stomach Cancer (DDF) the right to use the photo given. DDF may use such photographs and/or videos with or without your name and for any lawful purpose, including for example such purposes as publicity, illustration, advertising, Facebook, and Web content. You authorize DDF, its assigns, subsidiaries, and transferees to copyright, use, and publish the same in print and/or electronically. In addition, you relinquish and give to DDF all right, title and interest you may have in the photographs and/or videos; waive any and all right to approve the use of such photographs and/or videos; waive any right to compensation for the publication or other use of said photographs and/or videos; and release DDF and its agents, licensees, representatives and assigns, from any and all claims of any nature whatsoever arising from their use.